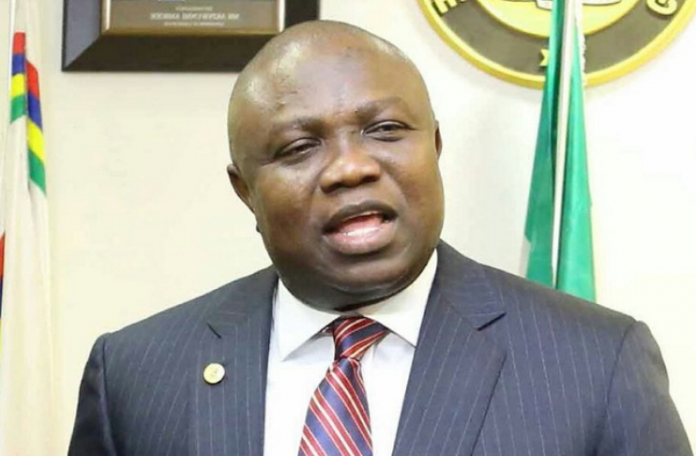 There are strong indications that there would be a mass defection from the Lagos state chapter of the ruling All Progressives Congress (APC) to another political party ahead of the 2019 elections due the purported endorsement of Governor Akinwumi Ambode and Senator Oluremi Tinubu for another terms in office. DAILY POST learnt on Sunday that the mass defection is being spearheaded by some aggrieved members of the party over the recent endorsement of Ambode for second term and Remi Tinubu for third term in the Senate. The aggrieved members, who described the endorsement as, “a unilateral decision,” are mainly from the defunct Congress for Progressive Change (CPC) and the All Nigeria Peoples Party (ANPP), which merged with the ACN to form the current APC in the state. Our correspondent learnt that Prince Tajudeen Olusi (OON) at a meeting of the Lagos Central Senatorial District Leadership Forum held in Victoria Island, endorsed Ambode and Remi Tinubu for another term. But a chieftain of the party and gubernatorial candidate under the platform of defunct CPC in 2011 elections, Ambassador Abayomi Mumuni, while speaking on behalf of the aggrieved members on Sunday, berated Prince Olusi’s announcement and the unilateral endorsement of Governor Ambode and Senator Tinubu. Mumuni said, “We are still experiencing the actions of the ACN, not the merger we signed before the election. If not, why would the party take a unilateral decision by endorsing (defunct) ACN candidates alone without considering the interests of other merging parties who also have candidates? Mumuni explained that the lopsidedness and maltreatment against his members started after the merger was sealed in 2015. He said, “Since the merger, I still perceive myself as CPC because the merger wasn’t visible in Lagos. Nothing was offered to us (in CPC) and others (ANPP and part of APGA). We were excluded from the Senate, House of Representatives and State Assembly seats. It was zero patronage by the State Government”. Mumuni also expressed disappointment that CPC members in the state were also abandoned by the President Muhammadu Buhari-led government. He wondered why the former presidential flagbearer of the same party (CPC) would abandon his members. He said, “He (Buhari) forgot his constituency, which is the CPC. He is now surrounded by those who called him and his party unprintable names. These same people are telling us that he (Buhari) has mortgaged us (the Southwest CPC). I told them there is no way I would allow the merger to mortgage my people. Mumuni regretted accepting the mandate to contest as the CPC candidate in the Lagos State governorship election, saying he would have defeated Senator Oluremi Tinubu in the 2011 Lagos Central Senatorial election. He said, “I didn’t have the intention to contest against Fashola. My mandate had always been the Lagos Central Senatorial District, which is my constituency. I am a son of the soil. My first election was against Obanikoro of AD in 2003. I contested against Ade Dosumu in 2007. I would have defeated Asiwaju’s wife in 2011. “But I changed my intention because there was no governorship candidate for the defunct CPC in the South West, except Barrister Shittu in Oyo State. With me, we were the only two CPC gubernatorial candidates that supported President Buhari’s bid to become Nigeria’s President. My withdrawal from the senatorial election gave Asiwaju’s wife an edge in the election.